CES 2015 highlights - Day 2: Sony, Samsung, LG, Philips and Panasonic | What Hi-Fi? 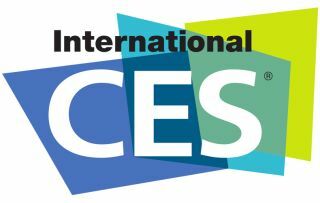 If you had thought that the opening day of CES 2015 had been a busy one, wait until you see what day two had in store – including press conferences from the major tech giants like Samsung, Sony, LG and Panasonic. TVs, hi-fi products and home cinema kit were among some of the prominent product launches from the second day of proceedings at CES 2015 – not to mention wireless audio devices, headphones and smartphones. LG had made no secret of the fact that quantum-dot and OLED technology is to be a prominent part of its future TV strategy, and the Korean manufacturer underlined the fact with its 2015 range; seven TVs of which will be OLED. Not only that, but LG has confirmed that most of its new TVs this year will be 4K Ultra HD-capable – and five of those models will come with a multi-channel ULTRA surround system that's been created alongside Harman Kardon. TV news aside, LG has announced the successor to its G Flex curved smartphone with the, yep, you guessed it, LG G Flex 2. It sports some big improvements to the original model, including a bump in resolution to Full HD. Sony has been a busy bee at CES 2015, if the number of new products is anything to go by. And we start with news of 12 brand-new TV ranges – including what is claimed to be the world's slimmest 4K Ultra HD TV with the X90C. It's just 4.9mm thin at its slimmest point and, like the rest of its 4K cohort in 2015, will feature the tech giant's new X1 processor. This promises to deliver Sony's best-ever picture quality in terms of clarity and colour – no matter the source. Elsewhere, the NWZ-ZX2 Walkman gave us our first glimpse at Sony's new high-resolution, portable music player. Due on sale in February for £950, the NWZ-ZX2 comes with support for DSD playback and expandable memory. Panasonic's CES 2015 press conference proved to be a low-key affair on the second day, but there were highlights to report – a range of new 4K Ultra HD TVs and prototype 4K Blu-ray player, as well as a US debut for its Technics hi-fi components. The four-strong range of 4K LED screens comprises a total of nine screens, including the CES 2015 Innovation Award-winning TC-50CX600U. Meanwhile, details of its 4K Blu-ray player remain closely guarded but it will be HDR-compatible. Woox Innovations has taken to the CES 2015 showfloor for the first time since joining the Nashville-based Gibson family of brands and with it has come the latest additions to the Philips Fidelio range of AV products. Highlights include the "ultra-slim, glass-topped" Fidelio XS1 (above) – the first soundbase to feature the Fidelio name – and new Fidelio-branded headphones, while other new Philips additions include the Zenit home cinema system. Samsung heralded a "new era" for TV on the second day of CES 2015, with its new SUHD range of TVs claimed to incorporate "ground-breaking" advances in performances. They're more eco-friendly than ever before, as well. Among the innovations in the range is the SUHD re-mastering engine, which automatically analyses the brightness of images to minimise additional power consumption without sacrificing contrast. With plenty of fanfare and no shortage of celebrities in support, Monster took to the stage on day two of CES 2015 to announce its new headphones, HDMI cables and the SuperStar waterproof speaker – dunked in a bath by Shaquille O'Neal to prove its worth. Legendary music producer Quincy Jones is no stranger to AKG headphones, having already got his own signature line of cans. But now his design influence has returned in the shape of the company's new N90Qs over-ears. Features include AKG's new TruNote technology, which uses proprietary software (and two tiny mics in each ear cup) to measure frequency response and auto-calibrate once in place. Noise-cancelling tech is also on board. Cambridge Audio has unveiled the new CX series, which includes six components – a CD transport, two stereo amplifiers, a network music player and a pair of AV receivers – and aims to "revolutionise entertainment in the digital age". Prices will start at £300 and go up to £2000, with the products due to hit UK shelves by the end of Q1 2015. The company has also revealed a new-look logo, which sees the "Audio" moniker dropped on products including this series. Don't forget that What Hi-Fi? is live and direct from the showfloor in Las Vegas all week as we bring you the very latest news and product launches from CES 2015. Not only that, but we'll bring you coverage from our very own International News Stage in partnership with our sister publication, Stuff.